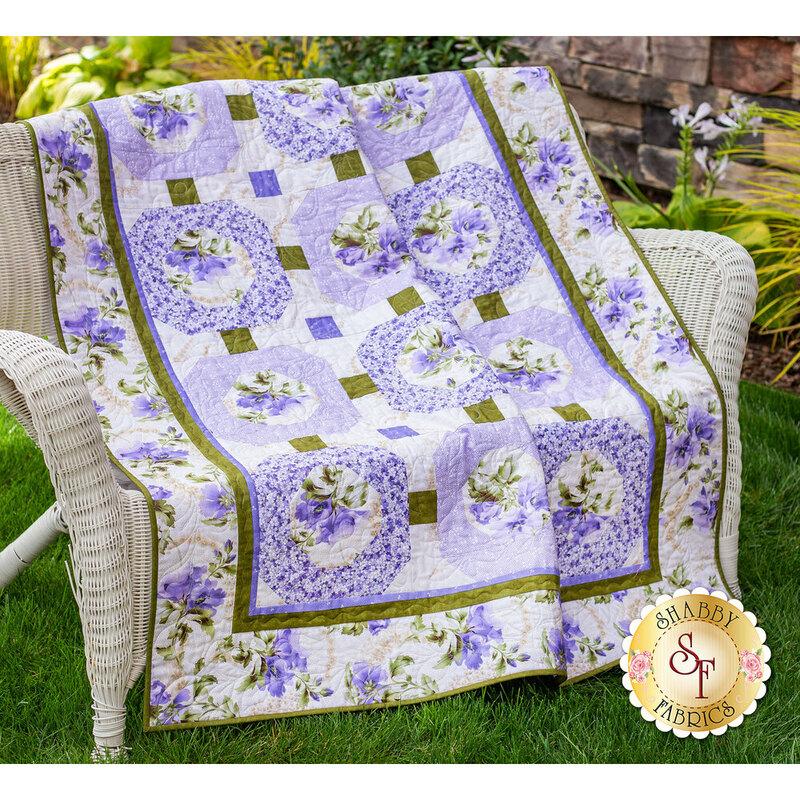 You'll fall in love with the delightfully detailed florals in this classically designed quilt. 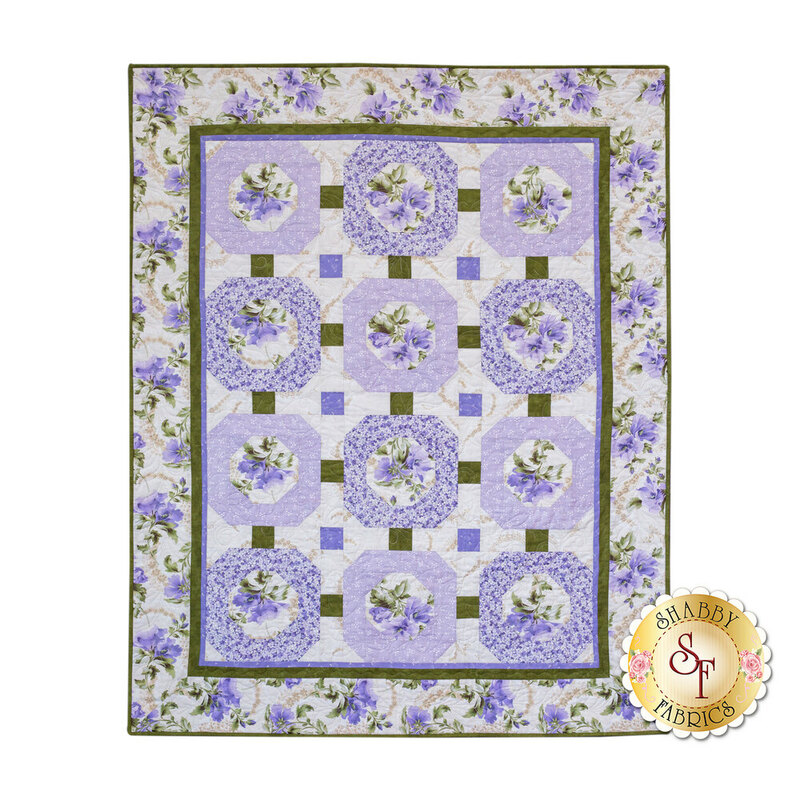 Its soothing colors and beautiful symmetry result in a quilt everyone will admire! 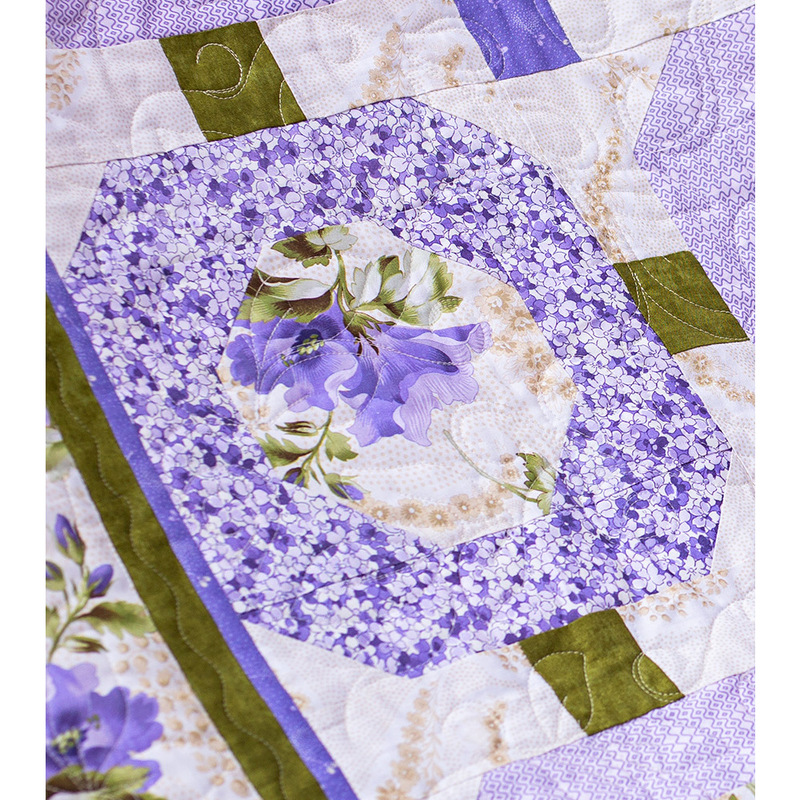 Quilt finishes to approximately 48" x 60". All fabrics for Top, including Sashing, Borders, and Binding. 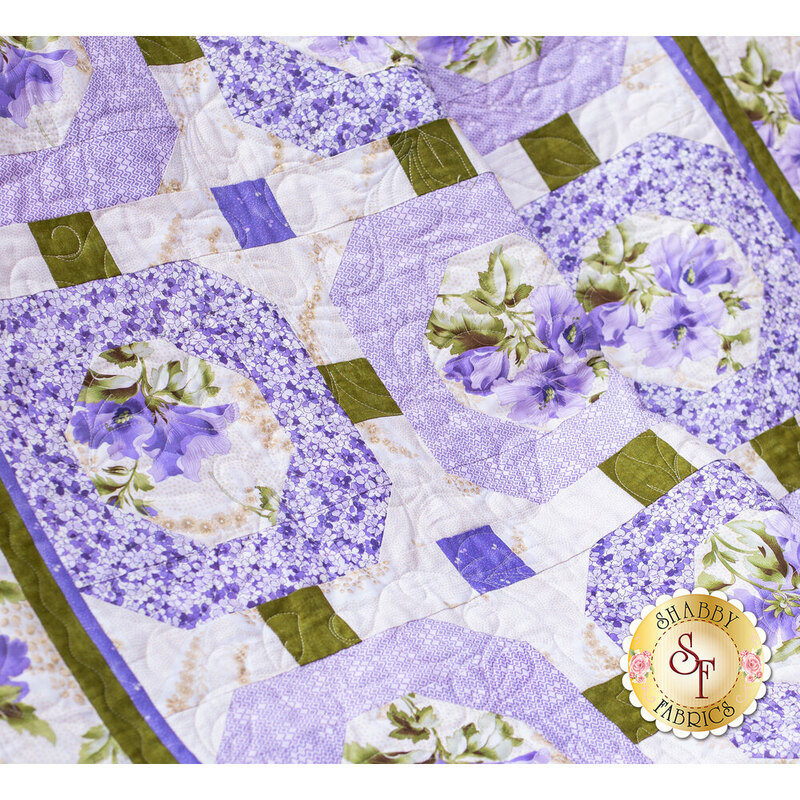 A lovely coordinating backing is available in the add-ons below!